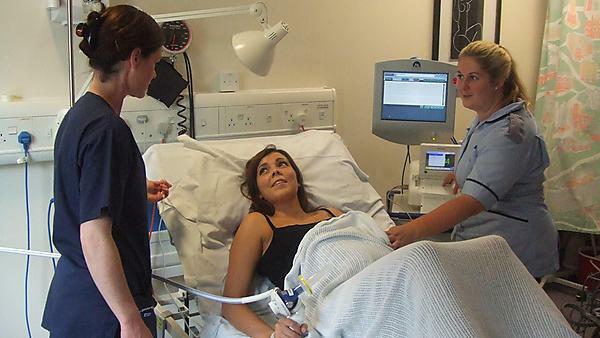 Want to know more about Pre-Registration Midwifery? On successful completion of the course, you are eligible to apply for registration with the Nursing and Midwifery Council as a 'Registered Midwife'. You’ll spend 55 per cent of your time on placement, most of which will be in community and acute maternity settings, with a few short allocations to additional key areas. You’ll be required to travel for your practice placements, which may cover quite a broad geographic area. Your placements will be based in one of the seven NHS Trust areas - Barnstaple, Exeter, Plymouth, Taunton, Torbay, Truro and Yeovil - in which you will remain for the full programme. There will the opportunity to undertake a four-week elective period at the end of the programme. Please note: In order to successfully complete your course and be eligible to apply for a professional registration you must undertake the full period of practice placement along with your theoretical study. This is a requirement of the NMC. The induction week forms part of these hours, and it is vital you attend ALL sessions. You’ll only be able to take personal holidays during the specified leave periods for your course, and will be required to work the full 24-hour pattern of care. Additional checks are required for all health students. All offers are made subject to receipt of satisfactory screening in terms of your health, welfare and police checks.